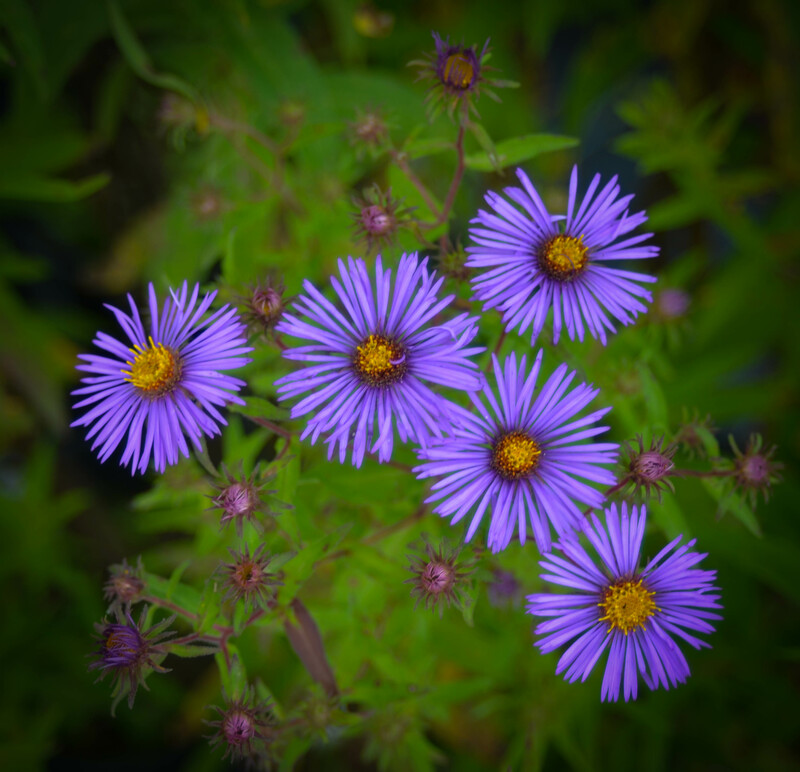 The New England Aster is bold, bright large perennial that will add some spice to any garden. This native perennial is deer resistant and great for butterfly gardens and for back corners of cottage style garden. Boasting of brilliant purple flowers the New England Aster will add color to a garden in the fall as it blooms into October. This perennial is great for pollinators especially butterflies!